Mario Pissarra: In terms of my own analysis of what’s happening in the South African art world I think what you are doing is really important because I feel that there’s a fixation on being South African on one hand, and there’s a sense of liberation that came with the lifting of cultural boycott and the new democratic dispensation, and the sense of being part of the international community, but it appears that somehow the rest of continent didn’t fit into that equation for most people, so in that sense I’m really excited about what you’re doing. I also think it’s usually quite difficult to get people to discuss these issues and you’ve obviously been very successful in bringing resources together for that so from that point of view it’s very critical that it is successful. But I think what will emerge from some of my questions are concerns about the detail, and whether you’ve gone about it the right way. So I want you to understand that if it’s critical from that perspective, at the end of the day I really do hope we’re on the same page. MP: We had the Johannesburg Biennale which was either the worst thing that happened to South African art or the best thing depending on who you speak to. What were the key lessons of the Johannesburg Biennale and how have they shaped Cape Africa ? SGZ: A fabulous exhibition, it really was. I was proud to be part of it on one level, but very aware of the empty exhibition halls two weeks after the show [opened].MP: I would imagine with the first Johannesburg Biennale that leaving the content of the show to different groupings from specific countries does bring in that uneven element which I suspect might be partly behind what you say that the quality might not always have been up there. But on another hand it would appear to me that it was a necessary process in the need to engage people in those countries and to start building a relationship with those countries so in that sense I detect some, not continuity in a totally linear sense, but you’ve spoken about what the Manifestation that’s happening next year having an emphasis on the Southern African Development Community (SADC) countries. So I’m seeing it as picking up on that thinking again that we need to locate… you talk about the context, you’re talking about not only what’s happening specifically in Cape Town but more broadly on the continent specifically SADC. But when I look at the programme I do get confused because I see a lot of slippage between on one hand statements about SADC and then a programme that seems to be about Africa in general and I struggle to identify the SADC content. I see Fernando Alvim who I don’t know if he spends more time in Brussels or Luanda , I don’t know. I’m not picking on him, but what I saying is that I don’t see the SADC content and I just wonder if this is something you struggled with… how do you address that kind of slippage that’s there? JJ: Two things I think at this stage… the Sessions conference and Manifestation are very closely tied, they’re part of they same cycle but they are still different events. So if we’re polling opinion why there’re few [speakers] from SADC I don’t think that’s a problem [when you have a forthcoming] exhibition which will concentrate on SADC. With sessions the idea is to really get the exhibition format and some of the issues that arise in developing the exhibition, [and] to work through some of those. Because we don’t necessarily want to work with SADC only for the conference. The other issue about that is that the SADC focus has actually been problematic for us. We were in two minds whether to have a SADC focus for the Manifestation next year or to have a general African focus and part of that was a question about what does regionalism mean in Africa today. Into what kind of political terrain were we playing by adopting ideas like Southern Africa or the Southern African Development Community. I think it came about purely for the exhibition, it came about by focusing, it came about for purely practical purposes. We thought it might be more conducive to concentrate on a localized or regionalized area to start with. MP: I get your reluctance to name people but I m not sure we’re talking the same people, so I am going to name. For me the thing that’s peculiar in a sense is that there is quite a major SADC exchange happening at exactly same time as conference. There are at least nine artists from five SADC countries who will be in Cape Town participating in the international Thupelo workshop and that’s basically nine out of twenty eight participants which… I would expect to see them on the Cape Africa platform, so that was something I thought was interesting because if you look at what Thupelo are doing, [as part of the whole Triangle Network] the workshop is billed as an international event. They haven’t specifically billed it as an African thing, but it has taken in that African emphasis so much that there’s two Americans, the rest of the people are from the continent, all from southern Africa. I find that interesting because for me it’s a question of what is “international” when we talk as South Africans. What is our view of what is international and I think where I have concerns with your programme is that when I look specifically at the South African artists you have they are almost without exception people who have basically established their profiles “internationally”, in the conservative western sense of the term. So I would argue that you are actually validating that other international model. I mean if I can refer to Kendell Geers for example, he says that there are two kinds of South African artists: those with international careers, and those without. Now when he says “international” I don’t think he means Lionel Davis who has work in the National Gallery of Zimbabwe, in the National Gallery of Botswana; or Tyrone Appollis who has work in the National Gallery of Namibia. I don’t think those people are part of his frame, maybe I’m wrong. But it seems to me that you, maybe not deliberately, are actually not really validating an international perspective that is African centred. Because I don’t know for example how somebody who is successful in New York, how they’re going to help me build links with Maputo . And I worry about that emphasis because in that sense I see a very traditional approach to the conference with the traditional indicators of who are the successful people that we have something to learn from. Now I’m sure they have a lot to teach us when it comes to “I want a career in ” and I don’t mean to undermine them in that, because I wish them all the best with that. But if we’re trying to change the way we view things and actually validate Africa then surely we need to look for people who are working in Africa . MP: I am aware of the task team. MP: I actually wanted to talk about the task team. JJ: Is that off the record?MP: No, I want to say on the record. I understand the process that you’ve taken and that you’ve wanted more people to own it, and in a sense you’ve initiated, you’ve facilitated, you’ve allowed other people when it comes to practicalities to direct, to choose speakers etc. I understand the process, there is a dialogue there at least with more people, and I respect that. But again my question is did you choose people who were qualified for this even? Because I see people, there are some exceptions, but on the whole I see the usual suspects. I see the people who are on any conference, any art event. I mean for instance you have a partnership with VANSA… if you look at the latest articles that are published in artthrob in anticipation of the VANSA conference which I understand you raised money for, they didn’t do it themselves but maybe that’s a separate debate, I see a lot of issues that are relevant. I see issues around transformation, I see issues around race, I see issues around education, social development… but the word “ Africa ” does not appear anywhere, which to my mind is an indication of how that discourse is not an African centred discourse. It’s not a view of transformation that recognizes the need to prioritsise engagement with Africa . There’s four people writing [including two members of the Task Team] and none of them mention Africa , so that’s a concern. Now I’m not arguing against those peoples competence for your usual South African art event. But if we’re trying to change the goalposts then I worry because then I say how if we have ignored this field [ Africa ] how then can we put the same players there and expect the field to change? Not that they don’t have expertise and can’t be tapped. So that’s a concern I have, and it goes into who do those people choose to talk. Because if we come to looking specifically at the question of contemporary African art as far as I’m aware there are only four people in this town who have made any progress teaching, researching writing in this field and I include myself in that. Most of us, not that we’re an association, have been doing this since the late ‘80s. I don’t see any of those names either in the task team or on the conference, but I see someone who teaches contemporary art that excludes Africa on the panel, and I get really confused because I think how then are we are going to change the debate? Why aren’t the people who are teaching in this area, who are known, some of whom I believe were consulted way back when but haven’t been included in a critical capacity in the sense of helping identify speakers or in some cases maybe being the speakers themselves. So that’s a concern I have again. I like what you’re saying from the point of view that this is a learning process. I accept that for all of us involved we’re trying to shift the way we’re looking at things and yet all of us will make mistakes in that process, but to me there’s just some obvious candidates that just got left out. From that point of view I just have to wonder what was your criteria in selecting your task team? Did you say we need a special set of people, or who are the people?SGZ: I think for someone like Emma Bedford, because of her work she’s traveled extensively and been exposed to a very broad international frame, to Dakar, to Venice etc. She’s brought in a very valuable overview of both the global and the national framework. She’s also been a voice of reason at times that we’ve needed…Someone like Zayd [Minty] has engaged with Cape quite critically right from very early days and I think that his engagement has been valued. I think he brings a very local and very Cape Town based interest plus a broad view of contemporary South African art, Mustafa [Maluka] because the Cape project is looking to be, and I think that’s another area where we’re not entirely happy with the programme, being multidisciplinary. 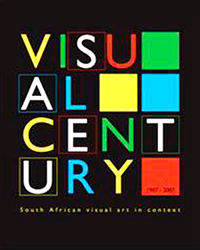 We’re looking to open up this contemporary African notion from a visual arts base. Somebody like Mustafa, both in terms of his youth and in terms of his multi-media approach, we thought he would bring a very fresh perspective. Somebody like Ntone [Edjabe], who unfortunately was away for the early part and perhaps that was one of the disappointments- he was away then ill, we felt would bring a broader view of the continent and that’s why that team was selected. And then Mirjam [Asmal-Dik] and myself , and Mokena [Makeka] really sat on the periphery of that process with Julian as the driving force to really look for Capes interest and make sure things didn’t go too far off. And if we look where we started with the programme and how it shaped I think that conceptually the way that sessions developed… the way that where we started from and where we got to, I still think that I’m very happy. I think I take some of your criticism but I say that in terms of Sessions 4 around networking what we’re trying to do [is that we’re] almost defining our playing fields on day one. It may be obvious, some of the names and the people, but our objectives were to really look at mega-mega exhibitions and what are the things that we’re dealing with here. 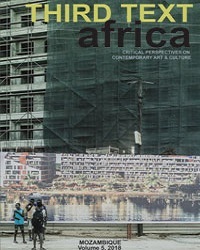 Let’s look at this whole issue of contemporary African art. I mean I’m hearing you asking where are some of the people that we could have involved. I don’t know why the task team didn’t recommend them. I may be at a disadvantage because I’m not a Capetonian. I’d really like you to name the names that you feel are missing because then we can address that more directly.MP: I can name names… Sandra Klopper is the obvious person. She’s started critically engaging with how is Africa represented in the west etc, she’s been doing this since the ‘80s and has gone into contemporary culture…SGZ: She was away…MP: But I also know that she was consulted quite early on…SGZ: Sandra was also invited to the focus group and she was away. 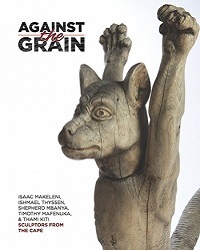 MP: Lize van Robbroeck is one of the people that’s making connections between, for example, what happened in Polly Street with what happened in other African countries with other expatriates in the teaching of modern African art. I must be one of the few people on the continent who has actually taught a course in modern African art, and I’ve taught African art since the late ‘80s. Liese van der Watt has been teaching since the ‘90s… on one hand It’s uncomfortable naming people because its like “why is so-and-so not on the panel?” But for me the issue is there are very few people who have really swum against the dominant tide in terms of saying “let’s put Africa in the curriculum”. There will be people will say there hasn’t been enough progress, universities haven’t moved fast enough etc. But there is a degree of expertise there, and at least some of that voice you would expect to see. What I’ve heard from talking to people as well is that there is a sense that, and I’m not going to go into the details, but I’ll give you the impression that very personal petty politics have come in as to whom has been excluded. Sometimes its institutional politics, sometimes it’s been personal. I think I’m reluctant to go into that but some people will know what I’m talking about.SGZ: I think its important to list the names you’ve mentioned or have been mentioned in the course of discussions who are in the delegates dossier. I mean both Liese van der watt and Sandra were part of the initial discussion last year and then we had a bit of a financial wobbly and then they were both invited to the focus group on the 6th of August, and Jools I think you’ve kept those people updated as to the progress and development of the programme. So there was also the opportunity for those people to input and make suggestions. JJ: Ja we have kept them [informed]. It hasn’t been as intensive as if they’d actually been involved in the Task Team so perhaps that’s regrettable. But my thinking about the Task Team, and for me this is an interesting issue, I’m interested in the issues which you’ve raised and genuinely trying to think about how one goes ahead with that… when I came on board the Cape project I saw it as a very good opportunity to connect Cape Town and Africa with the emphasis actually being on Cape Town, because here’s an opportunity to create a large scale art event which happens in Cape Town. Sure the focus or the perspective is on Africa, but its really about being rooted in Cape Town . So I was quite excited about the Task Team which was selected at about the same time that I was appointed to the organization, because these are all interesting Cape Town voices. They’re all interesting people in terms of their perspective on Cape Town as a city, as a growing city, as an existing and as a potential cultural hub. I think thinking about the make up of the Task Team becomes quite interesting from that perspective. I don’t deny the fact that there might be some voices [excluded] and I don’t know at this stage how to accommodate that.SGZ: It may be a controversial point but I think it’s a point that needs to be made because it’s come up quite a lot in the last two weeks. Its around how one engages with a project and how proactive one can be, and also that our door has really always been open for engagement. We’re here and we have actually circulated, there has been the opportunity for people to say “hey, we’d like to be involved” or “you’ve missed this out”, or whatever. There’s never been that kind of closed door and I think in terms of engaging with Capetonians and nationally, I think that’s the point that needs to be made. We’re not a kind of monolithic structure that’s not open to engagement or to criticism or to comment, and that doors been open. Instead of like now, we’re a week before the sessions… but I mean this conversation could have happened months ago and it would have been great. SGZ: A very simple statistic is that if you look internationally… you were talking about being successful, in order to be successful you need to be an international scale event attracting an international audience. Even the most successful of these international events only [a small percentage] of their audience is international, the majority is local [the size of the local visual arts audience] probably only totals about 55 000 or 60 000 which means if we’re looking to build volumes… I mean now I’m just talking business, but I mean in order to justify the costs and more than that, to make it an exciting and worthwhile project, we’re looking to build volumes of over 100 000. The only way we can do this is if we focus on a youth audience. I mean if you think about how did you get involved in the arts? It’s generally through an experience you had at a relatively young age. Our research has shown that teenagers are looking for some kind of identity rooted in contemporary Africa I’m sprouting now our business plan but basically I think it’s valuable… if you just go or approach things from a very white cube, strict, traditional visual arts approach we’re going to lose that potential audience. I think if we take a broader view of what Cape can deliver as a visual arts project [in a more multidisciplinary way] we can in fact have that ability to speak to that target market, but in a way that means that by the time they’re in their thirties they will have developed an understanding of contemporary art language which they would not otherwise have necessarily been able to develop. That’s sort of part of what our objective is, to project the idea of an integrated marketing and arts awareness programme is something that we want to rollout intelligently. MP: I think its really important that you are looking ahead, because this problem of South Africa not being active in Africa you’re not going to address in one conference one exhibition one anything so hopefully we will reach that point where its not just ultimately conforming to what I think is a legacy of colonialism where there will always be this inferiority complex where success will always be measured by so what if you’re exhibited here but that doesn’t really count unless you’ve been in the main art capitalsJJ: There was actually a bit of a split about whether we follow a visual arts direction or whether we should choose some multidisciplinary vision, and I think there’re gradations of that as well: multi-disciplinarity as a mode of engaging the visual arts; or multi-disciplinarity, talking about the arts; or even going beyond that, talking about creativity or culture seen as more expansive and not necessarily practice based, so it becomes a very interesting question its not just a visual arts… the one thing that’s really interesting when I was talking to Thembinkosi Goniwe I was asking him about one of the panels and the selection that had been made and [he asked] “why do you want to have all this multi-disciplinarity, at what expense to the visual arts?” and I think that’s a really valid point. I think that’s something which maybe some of us considered this is a forum in which people involved in the visual arts [dominate] maybe but on the other hand the vision of the multidisciplinary event I find very enticing because it opens up different practitioners to working in new spaces. That’s the kind of thing we want to achieve, not bringing together different people but making people do new things in different ways.MP: I’ve had a similar conversation with Thembinkosi and I certainly will not try to speak for him. I actually raised the issue with him from the point of view that I had a perception, and I’m not saying you’re doing it but I think its something that does happen, where particularly with the black voices that often come into publications we’re obviously all sensitive to issues of demographics, redress etc but what happens often is that we find people who are from different fields…On one hand it contributes to this radical sense of this multidisciplinary debate but there are black visual artists with critical input who maybe don’t have those qualifications who often get left out of that which again doesn’t validate their experience, doesn’t validate their perspectives. So I’m not sure if that’s what he was questioning but, and I’m not saying you’re doing that, but it is something that I’ve actually observed as something of a trend. Sometimes one wonders because people say “this is an inclusive forum, etc” but you find that all the abelungu are visual arts people (laughs) you have this disjuncture and it does happen sometimes but that one I’m not throwing at you. SGZ: Also from a business perspective from other discussions we’ve had with other festivals, other programmes, the thing is that with audience development a lot of the work is already done if you can get your various art communities, different practices to collaborate with each other. So for instance if it’s just a visual arts event its only for a very specific community. If you get cross pollination happen you get a cross pollination of energy. It’s actually very different, you’re actually more successful …the collaboration that happens between different creatives, I think that’s an exciting potential that hasn’t been explored enough. 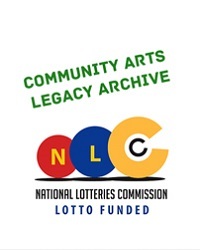 MP: I also support it from the point of view that what does happen often is that you have people being multi-disciplinary but within a very tight visual arts frame. So they’re doing performance art for instance, but then you find that there isn’t that engagement with people who’re not coming from the visual arts field. But I’m going to give you a parallel thing here… the issue of activism is often brought into a fine arts framework but I’m not always convinced that its broader social activism. I struggle sometimes to understand really what its got to do with activism. So one of things I’m looking forward to is to actually hear what is that constitutes activism in 2005 for people who are working largely for a fine arts audience? JJ: We had so many discussions in the Task Team about that particular Session, the arts and activism session. Perhaps one of the things I feel is that it’s essentially a visual arts panel. I was very excited about the fact that Zackie Achmat was going to chair that panel and I hope bring something different. I was hoping that he would call people to answer questions, but I think the panel could be a bit more expanded, I mean there multi-diciplinarity becomes really interesting because activism transcends one’s particular discipline and there you have a conversation that really explores what is activism? What does it mean to be activist? Does it make sense for art to be activist? In what ways is it? What sort of issues? I think that’s actually an argument for having multidisciplinary discussions. I don’t know, what do you think constitutes activism at the moment? MP: This is really the thing that I’m starting to grapple with to what extent is it just a form of branding, to say “well, I’m avant garde. Is it a new way of saying avant garde that’s more acceptable? These are challenges for the people on the panel to enlighten us on what is activism today. JJ: That panel particularly can be problematic. Why do you have Kendell and not Lionel Davis, sure, I think it’s a really interesting question… I’m quite interested to know how that panel will relate to the exhibition next year ….so what is the sense of talking about activism in and around an exhibition and I think the reason that session was framed the way in which it was, and it really was a very difficult session to frame in Task Team discussions. I think in a sense it’s quite a conservative session, and it reflects the panel that we couldn’t find agreement on it. Because the session actually originated as being a session about multi-disciplinary practice and we couldn’t agree on what constituted that. We wanted to talk about people who were practitioners but weren’t working in a fine arts economy or framework, and from there it became about talking about art… its ended up being quite different from where it came from. I think it’s still very exciting because if nothing it will provoke exactly the kind of issues which we’re discussing but I just find it so interesting that was such a hard session to pin down, so I’m quite curious about what happens. SGZ: I think also to go back to Cape as an organization… having gone through the process of establishing ourselves and now [beginning to address the notion of] opening up our membership which will go further than even the focus group in circulating ideas. That will really make us permeable to people which basically means that at the Sessions people will be able to express interest in joining the organization. We’re entering into another and very interesting phase in our evolution as an organization. SGZ: I think it’s a very exciting position that we’re at this juncture… we can start to explore and understand what is essentially a very wide open field. I think that’s the exciting potential of Cape as a project.